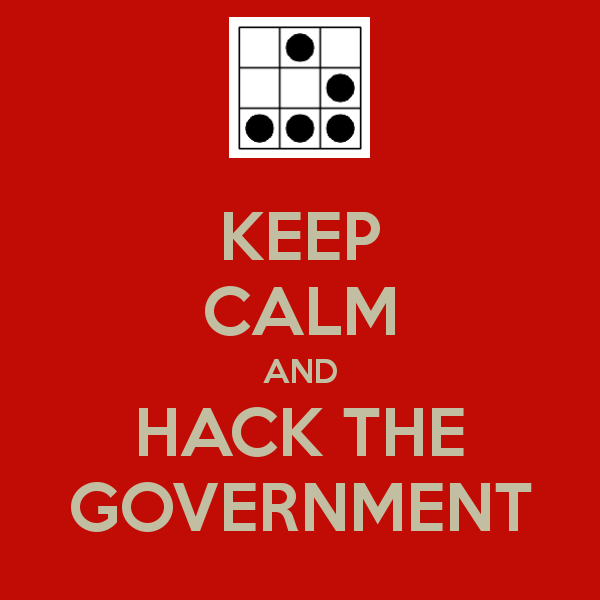 Let's face it: if you're a fellow govvie, then you know that there are more and more opportunities to hack the government: hackfests and codefests and open gov initiatives and consultations and conferences and meetups and communities and so forth. Buuuuut, it can be hard to stay on top of everything, let alone get away from the office to participate. And sometimes, if the participation is remote, it can feel like you're commenting into a void and nothing is ever, ever going to change. Your life — and your career — is going to be governed by policies and processes that were instituted decades before you arrived and that will likely continue standing long after you leave. But then, every so often, you go to an event or, if you're really lucky, you get to work with a team, full of people with ideas and with the latitude to make change! And you get invigorated! And hopeful! And you just want to change the world! Which is why you need to come to Gov Jam! Here's your chance to make a difference. And to be part of something huge. Now it's not entirely clear what exactly will happen with the solutions coming out of the jam. (According to the main Gov Jam site, they will be shared online for general consumption.) So... is this an exercise in futility? I don't think so. Much like a startup jam or hackfest, the point is to come together as a community and see what ideas we can generate. If something tangible surfaces, fantastic; but the act of hacking alone can be enough to spark change. By addressing and building towards solutions for smaller issues, we can begin solving bigger, broader problems from the ground up. Just like the foundation of a house, every large scale problem needs a solid, strong and tested foundation to sit on for support, structure and longevity.We hope that the solutions that come out of GovJam will become a part of that foundation; clearing the way to begin thinking about the more complex problems. Small wins, people. That's how we make change. I'm incredibly excited to be helping out as a mentor for the Ottawa event; in fact, I can't wait to see what the teams come up with! If you'd like to check out the action, you can find out all about the worldwide movement that is Gov Jam (and find a local event) on the official Gov Jam website. If you want to dig right in and are in the Ottawa area, head directly to the Ottawa Gov Jam site to sign up and join local govvies for jamming in our own town.